For all but the deepest subset of the Venn diagram overlap of nerds and homosexuals, this may well be your introduction to the bizarre gayness that is Cho Aniki. I’m honored to extend the opportunity. I’m still on my kick about being from the generation of pixels and VHS static, and I’m still mucking around with weird video clips and lesser-known pop songs from the era as part of a larger project. I’m not quite sure yet what, exactly, that project will turn out to be, but at the very least it will be interesting to look at. Yesterday, I finished one chunk of it that may just merit a post on its own. Here, please enjoy inasmuch as it can be enjoyed. And if you’re interested, here’s another piece of the puzzle: the disco sequence from the Bollywood Nightmare on Elm Street, manipulated and destroyed, with another italo disco gem added in. The song is “Follow Me” by Giusy Dej, BTW. 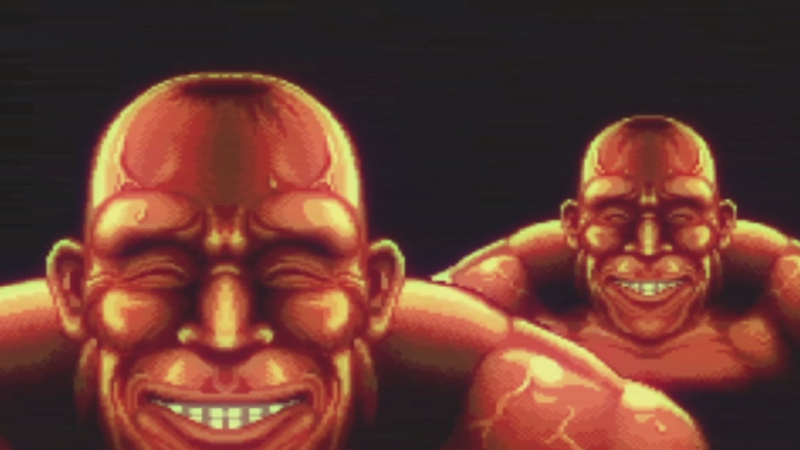 Happy Cho Aniki Awareness Day! 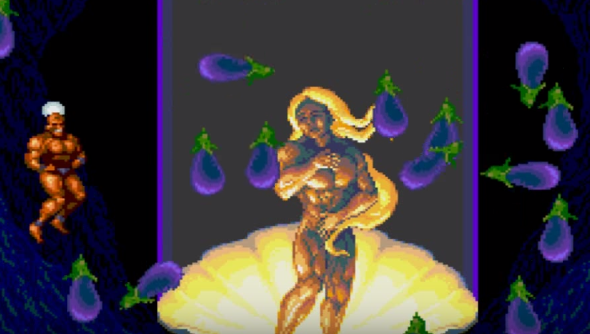 In the right context (see: Cho Aniki), eggplants are Japan's equivalent to cucumbers: wink-wink-nudge-nudge phallic stand-ins, also used as masturbatory aids. The correlation may be more widely understood outside Japan these days as people use the eggplant emoji to convey the same concept. That doesn't surprise me, I suppose, but I'm wondering if it explains Nintendo's fixation on them. Because it's Nintendo, they show up in not-seemingly-sexual scenarios, but they do show up a lot. Maybe it's just that eggplants occupy a bigger place in Japanese culture than they do in the U.S.?